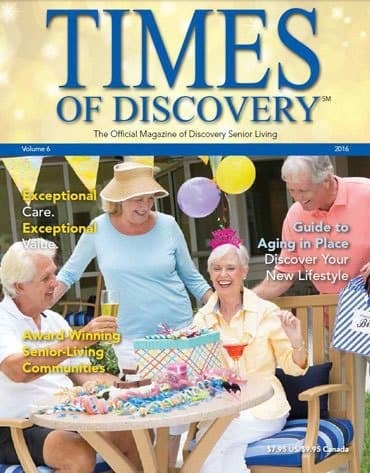 Thank you for ordering your FREE copy of Time of Discovery Magazine, the definitive guide to Discovery Senior Living’s award-winning communities and lifestyle offerings. Your magazine will be mailed out to you immediately. In the meantime, please enjoy a free digital version of our magazine by clicking here.